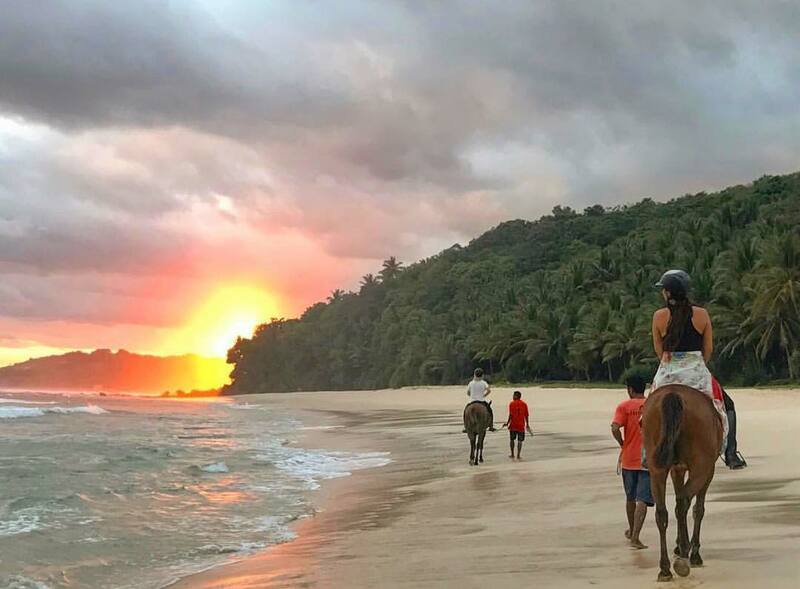 NihiwatuWhat better way to experience the Edge of Wildness than riding horseback on one of our Sumba ponies? Nihiwatu on the island of Sumba in Indonesia is the number one hotel in the world, voted by Travel + Leisure readers globally for it's annual World's Best Awards, the magazine announced today. The recognition acknowledges the changing travel habits of today's consumer who seeks a new type of luxury: experiential in scope, activity-driven, cultural, philanthropic, and with attention to the details that encourage guests to discover the very best adventure, immersion, and fun. "Hospitality-centric luxury has changed," said Nihiwatu owner Chris Burch. "It is more than just the finer touches. It has evolved to a custom itinerary, a personal journey, unexpected experiences, and a curiosity for the unknown. We have been extremely fortunate to exceed everything we set out to deliver with the Nihiwatu concept." The Millennial traveler has accelerated this approach. Having grown up in a world of technology where travel is easier than in previous generations, they are taking full advantage to travel the globe in search of new experiences according to the WYSE Travel Confederation New Horizons Study. "This is a proud moment for Nihiwatu, the people of Sumba and Indonesia. We have stretched our imaginations beyond the common perception of paradise and created a destination of geographic opulence and unregulated freedom that allows guests to thrive at the edge of wildness," added Nihiwatu Managing Partner James McBride. "From the wellness of yoga high above the trees to hiking with water buffalo, it is at once serene and unexpectedly thrilling." Re-imagined and re-opened in 2015, Nihiwatu has quickly captivated travelers from all corners of the world. On the remote island of Sumba in southeastern Indonesia—the size of the state of Massachusetts and only a 50-minute flight from Bali—the once cult surf destination with it's own popular, private wave was acquired by Burch in association with hotelier James McBride in 2012 and developed into a culturally immersive enclave of equal parts active adventure and endless indulgence, in an exotic and authentic setting. Maintaining its deep-rooted philosophy, and through the generosity of Burch, a portion of Nihiwatu's profits are now repatriated into the Sumba Foundation established by Nihiwatu founder Claude Graves, and Sean Downs 2001. With the enthusiastic support of hotel guests, Nihiwatu is a philanthropic vehicle dedicated to fostering community-based projects. During their stay, guests are introduced to the Foundation's efforts through an impactful presentation and short film. Many guests subsequently become benefactors to the Foundation. The result is a rare collaboration between a resort and its local community that today co-exist with compelling interdependence: the resort has become the biggest employer on the island and the Sumba Foundation gives back to the local communities. Over the last fourteen years, the Foundation has set up four medical clinics, and has developed over 100 water wells and water stations. The Foundation currently feeds young children in a malnutrition program, and has refurbished and supported 15 primary schools and provides lunch for over 1,000 schoolchildren twice a week. Nihiwatu is enthusiastically planning expansion of the brand to further realize opportunities grounded in its doctrine, "The Edge of Wildness." Soon, the expansion of Nihi Resorts will include the current model of a luxury resort that emphasizes ultimate services and endless experiences; and the addition of a larger, less expensive format that the millennial traveler can enjoy on a similar, more cost-efficient level. "The location is hyper critical for the growth of Nihi," said Burch. "We will only advance the brand in very special ways so that guests discover something truly extraordinary. It is an experience like no other, and we are committed to keeping it that way." For more information visit www.nihi.com and @nihiwatu on Facebook and Instagram.